Family owned “from scratch” bakery. 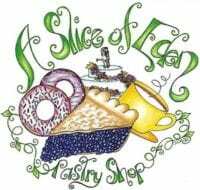 Specialty cakes, pies pastries and bagels. Breakfast and lunch sandwiches made to order on site daily.